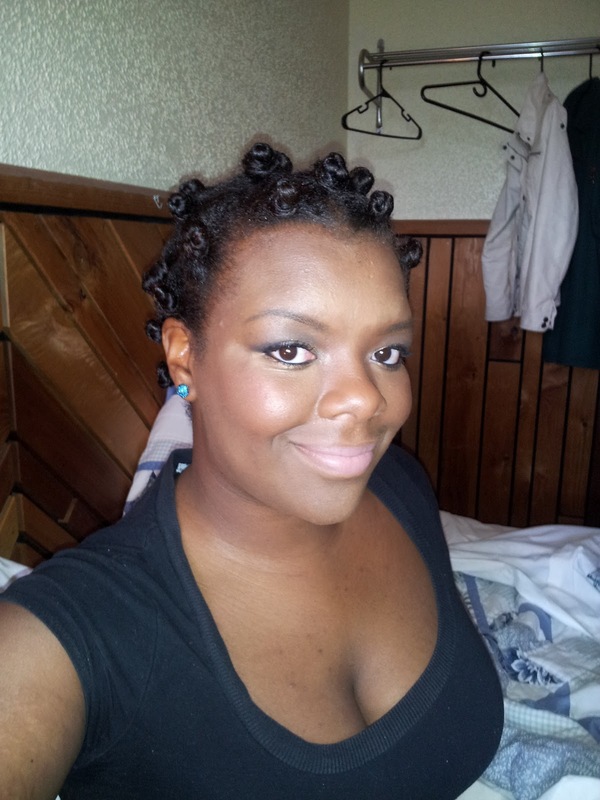 Hi, everyone so I have recently been attempting the bantu knot out on my hair. 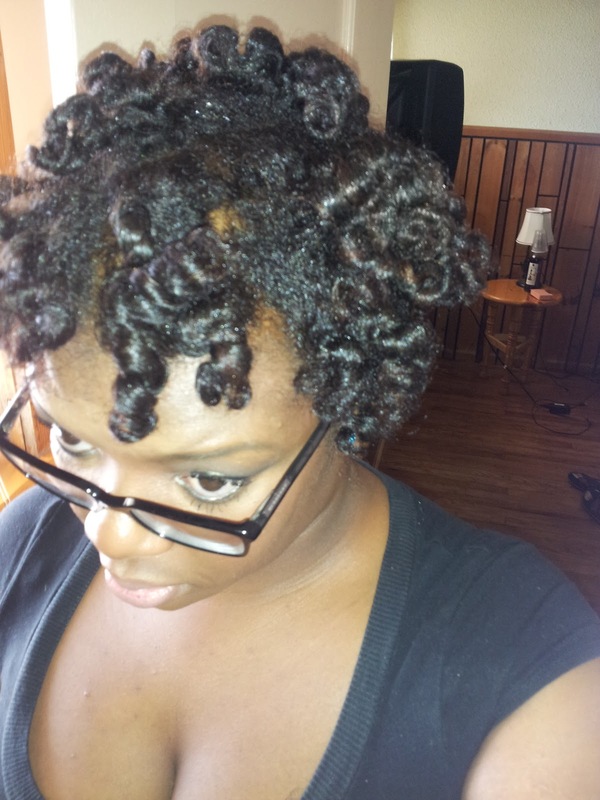 I have tried it four times within the last two weeks and it leaves a very nice curl pattern during take down. I have only tried it once with damp hair, and found that it takes way to long to dry like that with my hair. 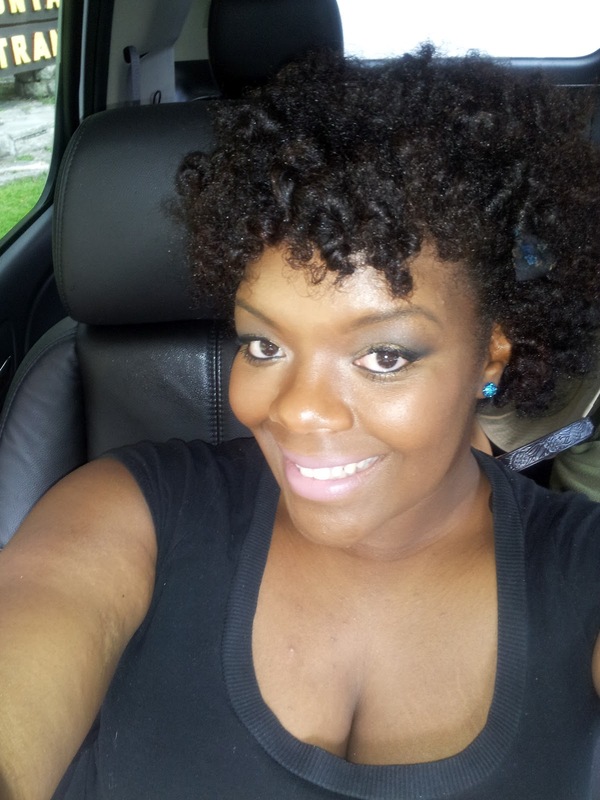 The next few items were on old twist outs with dry hair. I love it a lot better on dry hair. 1. put a moisturiser on each section, then used a dab of shea moisture curling souffle, and brushed through with my denman to make sure no knots were present. 2. 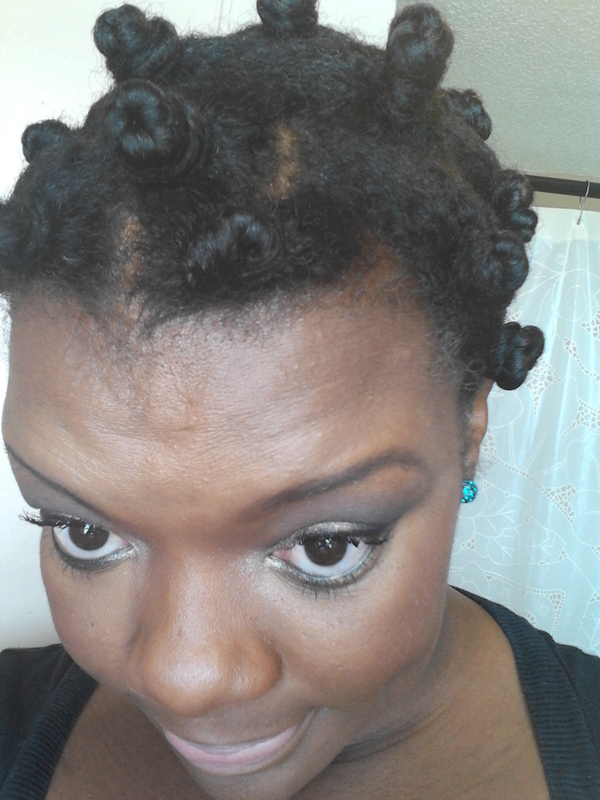 I then two twisted my hair in small sections. 3. Afterwards I twisted it around until it started rolling up on itself, to form the knot. I then continued until it was done wrapping around itself. 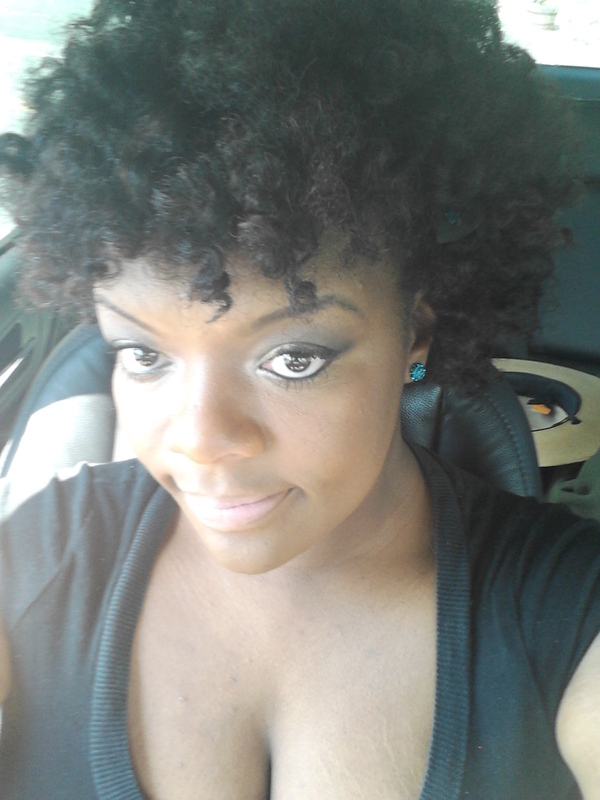 So here are pictures of the knots, the take down, and the end results on my hair yesterday. 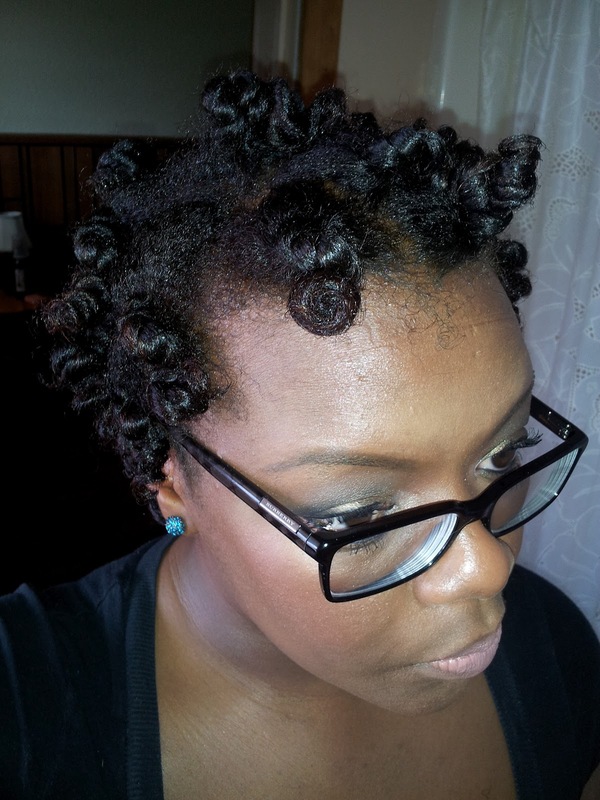 Next time I will do smaller bantu knots and use the Natty Butter and Natty Moist (and a little bit of gel for hold I didn’t use it this time) that I will be receiving next week to see if there is a difference between the way my hair looks.